The ongoing evolution of e-learning continues to present new opportunities and challenges for those tasked with delivering business training and implementing learning technologies. 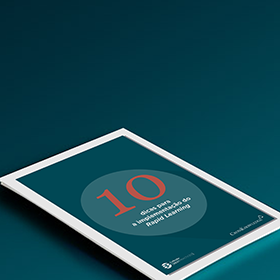 For most L&D and HR professionals, Rapid Learning was a revelation; it unlocked the potential of e-learning by dramatically accelerating the creation of content. Rapid Learning allowed anyone to create and rollout courses within weeks rather than months, and without demanding any special technical know-how. The ongoing evolution of e-learning continues to present new opportunities and challenges for those tasked with delivering business training and implementing learning technologies. For most L&D and HR professionals, Rapid Learning was a revelation; it unlocked the potential of e-learning by dramatically accelerating the creation of content. Rapid Learning allowed anyone to create and distribute courses within weeks rather than months, and without demanding any special technical know-how. 1. Those planning their first Rapid Learning project and who want to get off to the best possible start. 2. Those engaged in Rapid Learning creation and who want to ensure their strategy maximises the success of future projects. 3. Those with more extensive Rapid Learning experience but who want to take things to the next level. Applying these principles will help to ensure not only that your individual Rapid Learning projects have the best chance of success, but also that your whole ‘rapid’ approach achieves real excellence in terms of cost effectiveness, bottom line impact, replicability, audience uptake, and much more.